This fall, our 3rd grade class began a unit on Native Americans that evolved into something much broader, as we investigated indigenous peoples throughout the world. 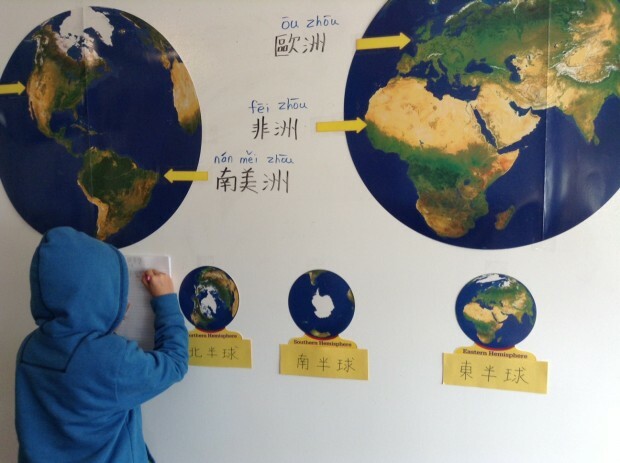 Using inquiry learning in both English and Chinese, students were able to think critically and on a global scale. To begin the inquiry process, students reviewed the Native American regions of the United States through an interactive power point presentation. We learned about the natural resources in each region, how Native Americans lived in cultural groups, what homes they built, and how they took only what they needed from nature. Students expanded their thinking by studying indigenous groups from different parts of the world. We rotated through stations to read books about indigenous groups from India, Brazil, Mexico, Canada, Polynesia, Russia, and the United States. With post-its, students wrote down inquiry questions about these different groups, creating an interactive post-it display in the classroom. Next, students chose a country of interest and researched the indigenous group(s) from that country. For homework, they created questions about their indigenous group and went to the public library to find books. Students were also given age appropriate websites to use for research with the classroom iPads. Moving forward, students will visit the maker space to create a symbol representing their indigenous group, and will write three research paragraphs to go along with their symbol. Because ISTP is a bilingual school, we were able to add a second level of inquiry to our unit by making connections between languages. 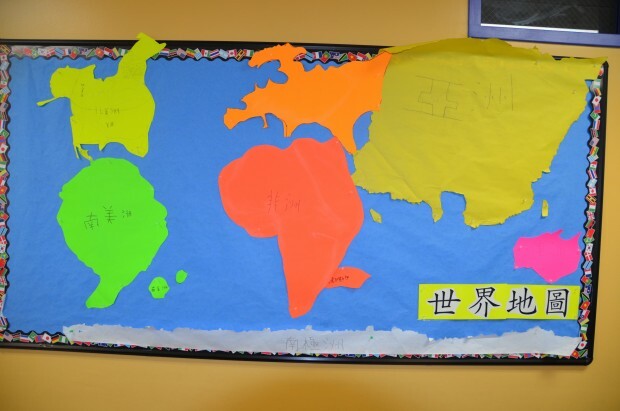 During our weekly collaborative meeting, we made a connection knowing that students were studying continents and landforms in Chinese class. 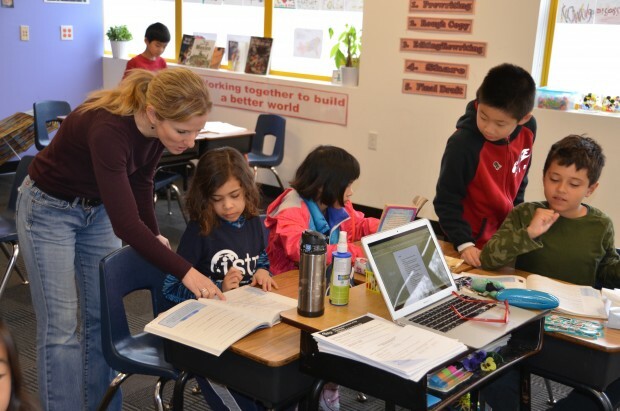 In their Chinese world geography unit, the 3rd graders also used inquiry learning, and fostered global awareness through research and discovery. 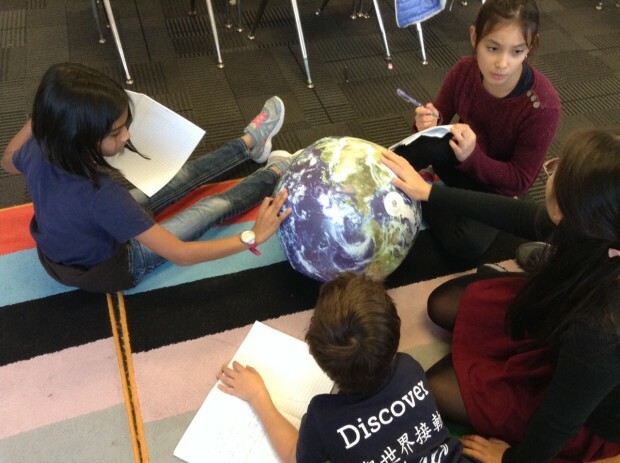 The unit started with an activity for students to explore different types of maps and globes, such as the NASA Earth Ball, globe models, 3D world maps, landform maps, and map puzzles. 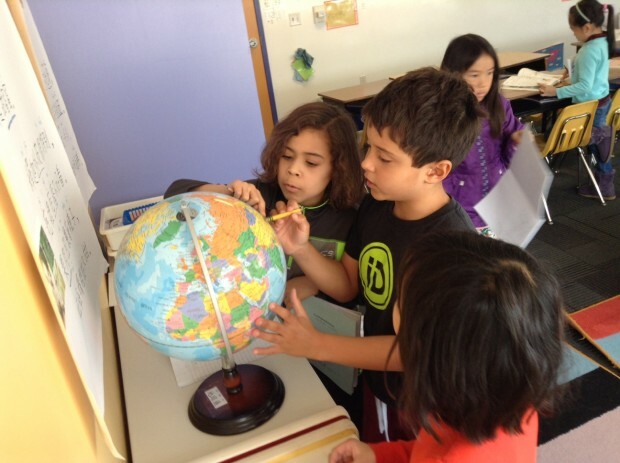 Students observed, recorded their findings, and shared what they noticed and knew about maps and globes. With exposure to various resources, students guided themselves toward deeper inquiry. The reflective questions they wrote helped them think about what they didn’t yet know and what they wanted to learn. To reinforce students’ mapping skills, we used Google Earth to virtually locate continents and oceans. We also located ISTP and recognized the configuration of a city (Palo Alto), within a state (California), within a country (USA), on a continent (North America), on the Earth. By navigating with Google Earth, students solidified their spatial sense and reinforced their knowledge of cardinal directions. 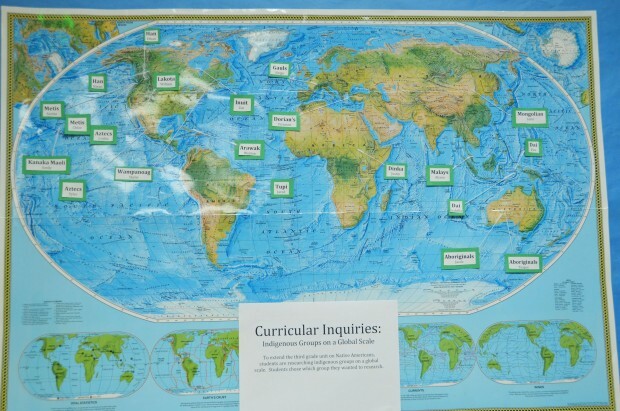 The inquiry process is a multidisciplinary approach, and we also incorporated Chinese language arts, geometry, computer science, and recycling into the geography unit. Students created mini globe models by folding a map containing twenty small triangles, helping them learn about geometric patterns. In computer science class, students programed an animation using Scratch that showed a character traveling to different continents. We also had the exciting opportunity to take a field trip to the Recology Center, where students learned about reducing, reusing, and recycling. While there, students collected various recycled materials and used their imaginations to create landforms in a shoebox, labeling all the landforms in Chinese. At the end of the world geography unit, students each became an expert on a different continent, based on their research interests. Each continent group did a guided study and researched in class as well as at home to enhance their knowledge. Finally, they did an oral presentation for the class, teaching each other about the world’s continents. As an old adage says: “Tell me and I forget, show me and I remember, involve me and I understand.” Using inquiry learning in our multidisciplinary indigenous peoples/world geography unit, students became very engaged in finding answers to their own questions, actively constructing knowledge and taking ownership of their own learning.